« Choose the line you want to set up from the menu on the left. This guide will help you to use in the best possible way the line Configurator. Here below are some of the main questions and their relative answers. 1. How do I netsurf with the line Configurator? 2. How do I make choices? 3. Why does the choice of certain details affects others? 4. How do I carry out the automatic line configuration? Start by selecting the line you want to set up from the lines menu positioned on the left. Inside the line Configurator, a basic machine concerning the requested production line will be initially proposed to you, and afterwards, one at a time, we will also offer you a series of machines and optional that, if selected, will be added to the machine you are shaping. Every time, you will be asked if you want to add or not one machine component, and you can answer this question with YES or NO. If you answer YES, the component you demanded will be automatically add both to the list of the parts that compose your virtual line and to the 3D mobile model always present in the window to the right of the selections. Every time you want to see the line you are setting up at 360°, you can select the image inside the 3D box on the right and through the mouse, rotate the machine or enlarge the parts you are most interested in. 2. How do I make choices? Every proposed component, is described, represented and we recommend its use in certain specific cases. Sometimes it could be difficult to understand if it necessary or not to comprise or not a certain component in your line, but we normally suggest to include it in the line you are setting up and afterwards write on the final notes that go with the request for quotation, your doubts about the addition of that particular component. 3. Why does the choice of certain details affects others? Some components of the line will be proposed to you only if other components have previously been selected. 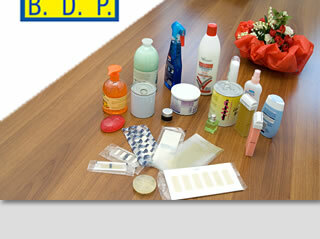 Furthermore, it is compulsory for some components to specify the required amount. 4. How do I carry out the line configuration? Once you finished the line configuration, you will find an appropriate section for data compiling. It is necessary to indicate all the requested data, so that our offices will be able to answer you directly or make you get through to the office in charge. You will also find a window called “notes” where you can ask questions, express opinions or give suggestions, so as to allow us to meet your needs in the best possible way. Once you entered all the details you think to be necessary, click on the button “send your request”.